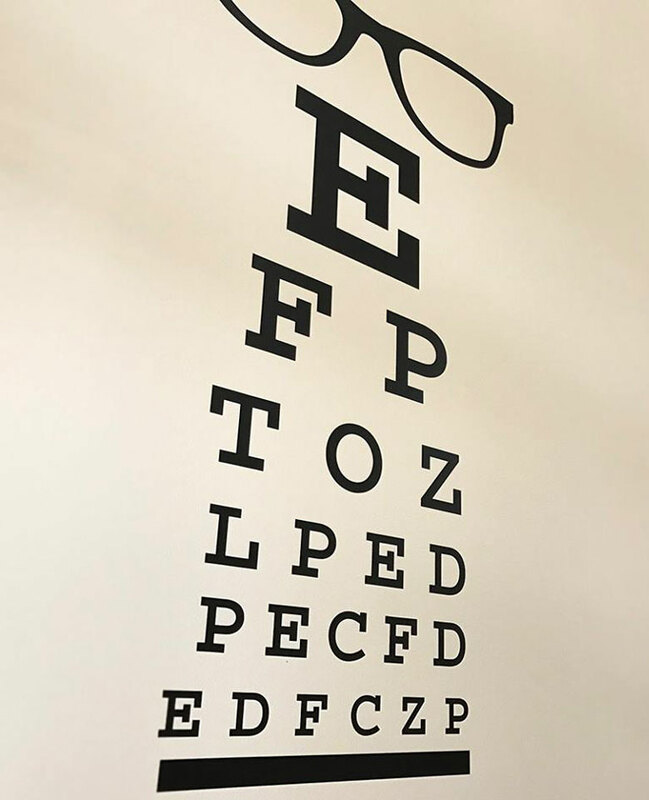 Eyeworks performs comprehensive eye exams as well as a review of your personal and family health history – checking for special risk factors such as eye disease, diabetes, high blood pressure or poor vision. At Eyeworks, our doctors check the eye thoroughly for various activity and responses. Our doctors will check your vision to determine nearsightedness (myopia), farsightedness (hyperopia), and astigmatism. We also check the coordination of eye muscles, peripheral vision, and pupil response to light. Along with these testings, your exam will include checking the overall eyelid health and function and measurement of fluid pressure. This “air puff” test can serve as an early indicator of Glaucoma and other diseases. A regular eye exam is a comprehensive analysis of your visual and eye health systems. It does not include any of the contact lens fitting or exam process. Additional measurements of the eye and more extensive evaluation of corneal health must be done before a contact lens fitting is completed. One of the steps in arriving at an accurate contact lens prescription is placing diagnostic lenses on your eyes and evaluating how they fit and how well you see. If you are a kerataconus patient, please make sure to schedule with our kerataconus specialist, Dr. Jamilah Birdsong. *** Eye exams are recommended minimum every two years (suggested every year) and contact lens exams are mandated yearly by the state of Georgia. Nearly 1 in 4 school-age children has vision problems, most commonly nearsightedness. However, only about one-third of students get eye exams before starting school. Some experts recommend an eye exam before starting first grade, and then every two years. Because eyes develop as a child grows, nearsightedness typically gets worse until about age 20. The need for reading glasses is a classic sign of middle age. By the time you reach your mid-40s, you may need help reading and performing other close-up tasks. This vision change is called presbyopia, and it’s normal. You can wear reading glasses, progressive lenses, or special contact lenses to correct your vision. Some diseases, like diabetes and high blood pressure, may have an effect on your vision and eye health. Diabetes is a leading cause of new cases of blindness in adults. People with diabetes may develop retinopathy (shown, damage to blood vessels in the retina). High blood pressure can damage the eye’s blood vessels and nerves. It can cause permanent vision loss. When you take care of your overall health by eating well and not smoking, your eyes benefit. Cataracts and glaucoma can happen at any age, but are most often associated with people over 60. A cataract is a clouding of the eye’s natural lens. It can easily be removed and replaced by a special lens in the eye during surgery. Glaucoma is a deterioration of the eye’s nerve over time. It is often accompanied by increased pressure in the eye. Glaucoma is treated with eye drops or surgery to decrease eye pressure.